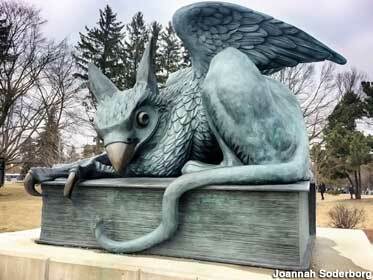 The Gryphon statue is located on a very busy intersection, so you can't just pull over. You can park at the University and walk up -- but it can be hard to find parking and you have to pay. There's a hotel and restaurant kiddie corner where I parked and walked up, about 5 min. (You can indiscreetly park there for a short time). Visiting UofG for a training course, which allowed me the opportunity to log this virtual on my lunch break. 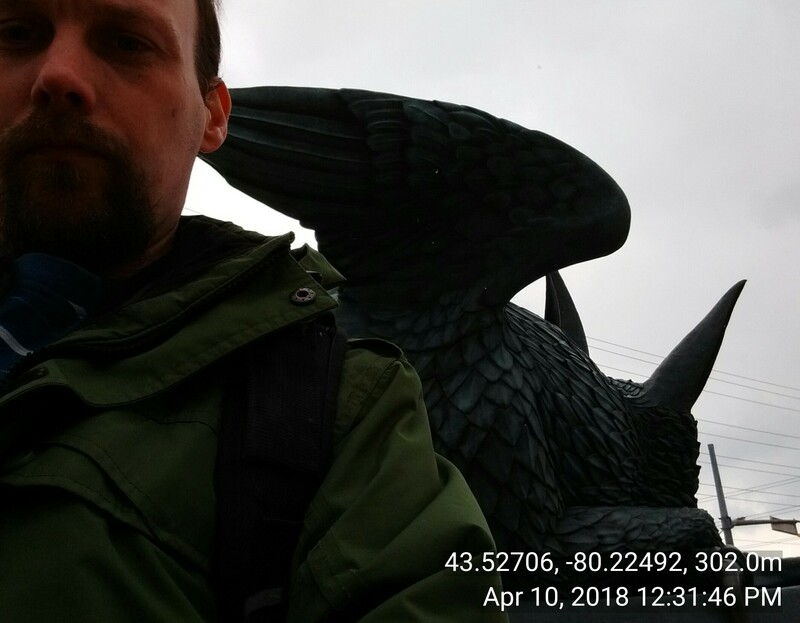 Took the selfie while standing behind the statue because that's one busy corner and I guess I'm too self-conscious. 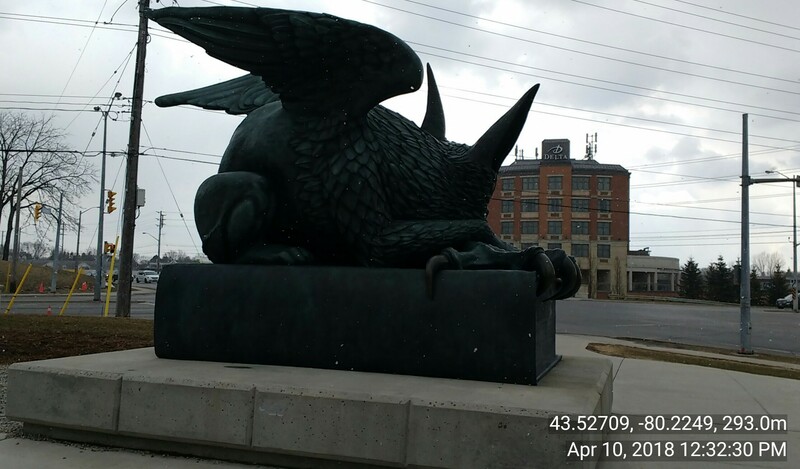 Thanks for the OCNA Virtual Cache. Accepted. This is a new edition since I was a student at UofG. parking in most lots at the university is free on weekends and after 5 or 6pm on weekdays. This includes the lot closest to the statue.